Good energy flows at East Bay interfaith unity rally – J. A reverend leading a Taoist meditation, interfaith gospel singers throwing their hands into the air, a rabbi playing the banjo — those were rousing moments at Temple Isaiah in Lafayette. 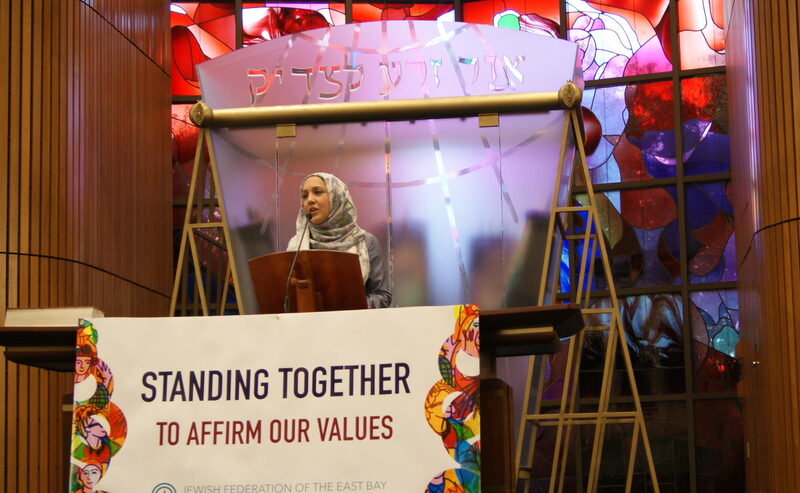 But they were undergirded with a strong sense of solemnity and purpose as people from several congregations gathered for “Standing Together to Affirm Our Values,” an Aug. 29 interfaith event staged by the Jewish Federation of the East Bay. 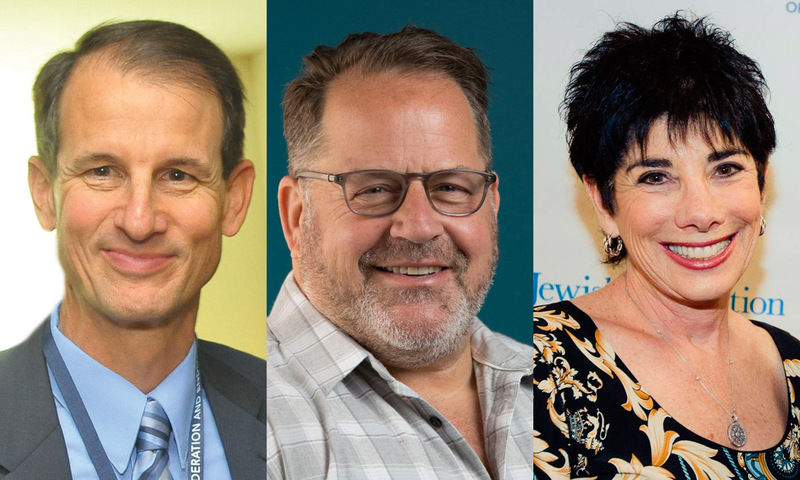 “It enables us to begin to send the message that we have to turn our despair into action,” said Rabbi James Brandt, CEO of the Federation. Around 400 people filled the sanctuary of Temple Isaiah to hear a roster of clergy from several faiths and public officials. As diverse as they were, the speakers addressed the crowd with a similar message: In the face of hate, people of all faiths must find it in themselves to unite. “Tonight we stand together; tomorrow we need to act together,” said Rabbi Dan Goldblatt of Beth Chaim Congregation in Danville. 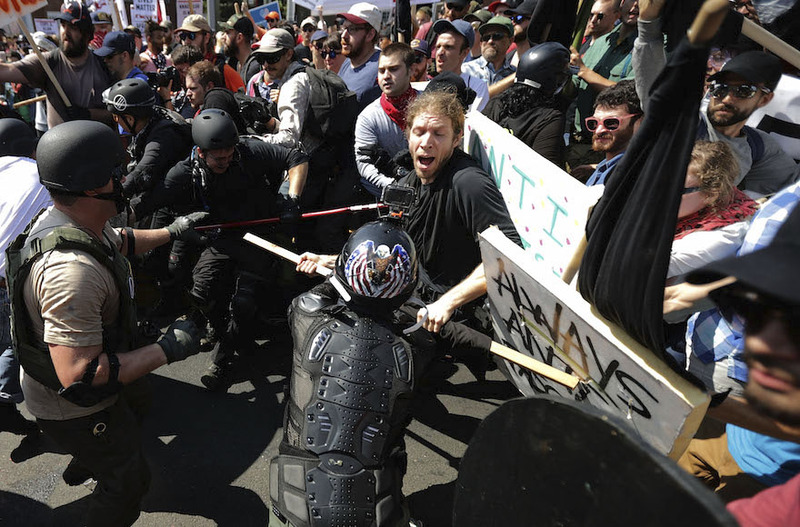 Running through the evening there was a palpable sense that events — such as those in Charlottesville, Virginia, and the planned but canceled rallies in San Francisco and Berkeley — were creating fear, anxiety and confusion. Lafayette Mayor Mike Anderson spoke of his amazement that white supremacists felt bold enough to walk through public streets without hoods, and reminded the audience that fear of speaking out is universal but something that everyone — himself included — needs to work on. And he grabbed the audience’s attention by reframing the situation in a clear-cut manner. But ultimately the clergy and speakers brought a message of unity and conviction, and of turning to values for both outer strength and inner resources. State Sen. Steve Glazer, who represents a majority of Contra Costa County and a portion of Alameda County, spoke of putting oneself in the place of a refugee or an immigrant. And Mukhtar underlined that message with lines quoted straight from the Quran, that no man can be judged as better than any other, no matter his race or religion. “Except by piety and good actions,” she said. Beyond the speeches, there was music, including the Oakland Interfaith Gospel Choir, which got everyone out of their chairs and clapping. Cantor Jennie Chabon of Congregation B’nai Tikvah in Walnut Creek and Cantor Leigh Korn of Temple Isaiah sang, as did Rabbi Daniel Stein of Congregation B’nai Shalom in Walnut Creek — with his banjo. Pastor Steve Harms of Peace Lutheran Church in Danville got the crowd to shake their bodies in a good-humored take on a Qigong exercise for releasing tension and getting energy flowing. Temple Isaiah’s Rabbi Judy Shanks took her moment on stage not to speak, but to encourage others to do so by turning to their neighbors and sharing their stories. The crowd enthusiastically responded, so much so that she had to shush them several times before they would stop chatting. In the audience was Teresa Onoda, mayor of the neighboring town of Moraga, who said it was encouraging to see the high turnout. “This shows that people want to be part of a positive movement,” she said. 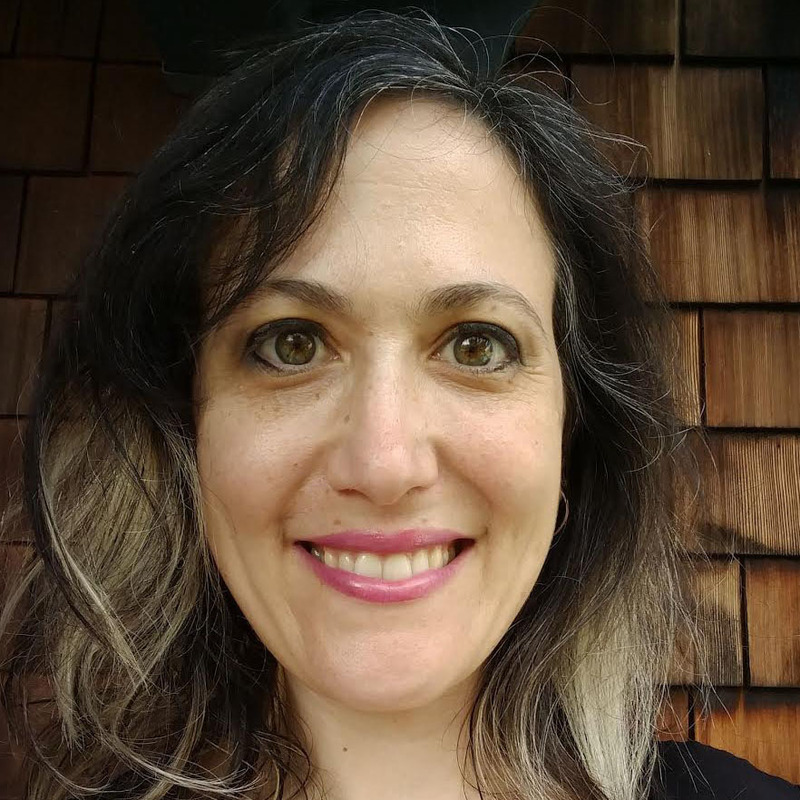 And for Terri Bookbinder, a Temple Isaiah board member, coming to the interfaith event was a way to affirm her belief that an attack on any group is an attack on all groups. “We are not going to let these minor but loud voices overtake us and induce fear,” she said. That’s just what Brandt hoped the audience would get out of the evening. The Temple Isaiah event, like a similar one six days earlier at Temple Sinai in Oakland that drew approximately 200 people, were organized by the Federation as a continuation of interfaith clergy talks that began before the presidential inauguration, but which have become even more pertinent in the past weeks. “We realized we had to do something bigger and more public,” Brandt said. 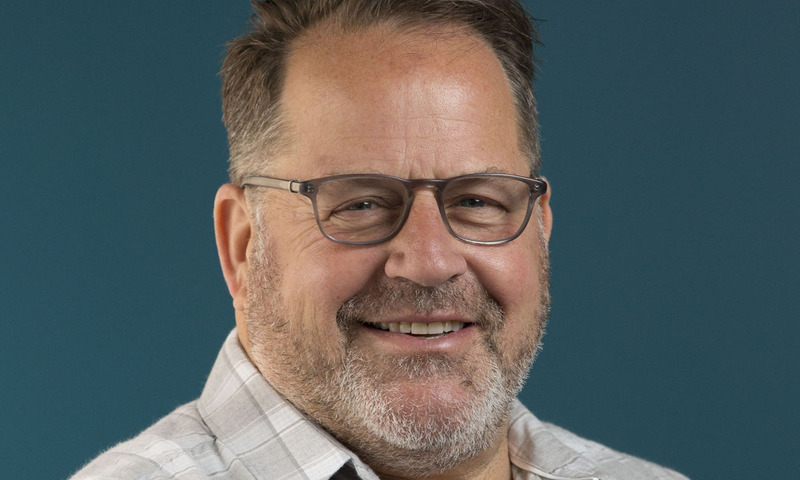 “This is really the right role for the Federation to play, to bring the community together,” said Steve Goldman, president of the Berkeley-based Federation. Brandt received a chilling reminder of the reasons behind these gatherings when, during the Aug. 23 nighttime event at Temple Sinai, his car was purposefully damaged. “My car was keyed and a rock was thrown through my window,” he said. In addition, someone yelled an anti-Semitic barb at a woman as she entered the synagogue. “We know that there is that element of hatred out there,” Brandt said. 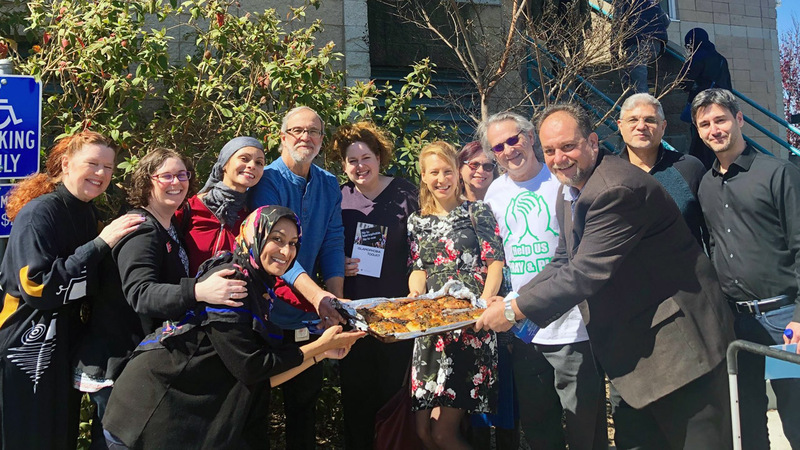 But the focus at Temple Sinai was not on personal experiences of hate, but rather on the value of the collective approach to using Jewish, Muslim and Christian values as a bulwark against the encroachment of hate speech and violent actions. No concrete steps or action plans were mentioned. Instead, the event was meant to help bolster the courage and the spirits of the already determined attendees, and to prepare them for what may come. “Tonight is but a first step, but an important step,” Brandt said.